PT Railink – Railink is a rapid growing transportation services company in Indonesia with business specializes in airport railway services (ARS). 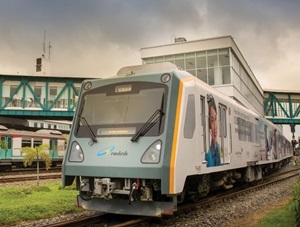 Railink operates primarily as a special transportation airport railway operator in Indonesia. Railink was designed to provide comfort and convenience for airline passengers. PT Railink is a joint operation company between 2 state-owned companies; state-owned railway operator PT Kereta Api Indonesia (Persero) or KAI Group and state-owned airport operator PT Angkasa Pura II (Persero) or AP II Group, respectively with share ownership of 60% and 40%. Railink’s first services commenced at Kuala Namu International Airport North Sumatera. Railink is based in Jakarta and now has 1 branch office at Medan North Sumatera.